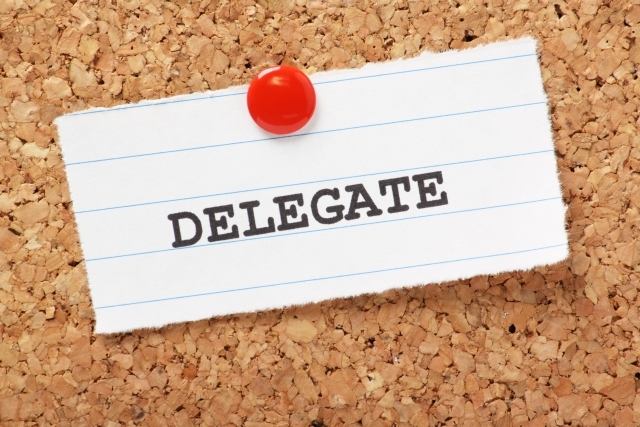 One of the core competencies of all management is the ability to delegate effectively. In fact, failure to do so, in almost every case, means failure at your job. Many new managers must overcome resistance to delegation, and reasons for this vary. Among those I’ve heard are: “I can do it better myself.” “They might make a mistake.” “I don’t want to lose control.” “They might do it better than me.” None of these are a valid reason to avoid delegating. Use people in their area of expertise or skill for maximum productivity. If they do it better than you, will you look bad? Absolutely not. What looks bad for you is when you waste talent and expertise in some simple, general or menial job. All skilled and confident managers surround themselves with people who can do specific jobs better than they can. They Will Delegate to You. This comes from Ken Blanchard, and it’s called “Monkey Management.” Here’s a scenario…you meet someone you manage, and they describe a problem to you. Your response is, “Let me get back to you on that. Leave it with me.” Visualize the problem or need as a monkey on the back of the person you just talked to. You’ve just said, “I can carry that monkey, put it on my shoulders.” And the monkey happily jumps over to your shoulders. Pretty soon you walk into your office and there are monkeys everywhere. The person who is reporting to you is now your supervisor, and you start reporting to them. A couple of days later they see you and ask, “How’s it coming along?” They have now taken over. When they tell you about a need or a problem, ask, ‘What solutions have you come up with so far?” (Probably nothing.) So you say, “Why don’t you go back and come up with some possible solutions, and when you have that, we’ll talk about it together.” And the monkey stays on their back. You Are Throwing Away Time. Never think of the time it takes to train someone to perform a task as wasted time. It’s an investment. Time is money. Leverage your time. So what if it takes 2 hours to train someone to do something that it only takes you 30 minutes to do? Do the math…After they have done the task 4 times you’ve reached the break-even point. After they have done it 8 times it becomes a 100% return on your investment!